Want to try Lauren’s Playground for up to 7 days for a buck? If you don’t love it, simply go in and cancel before the 7 days are up and the system will take you out, no questions asked! 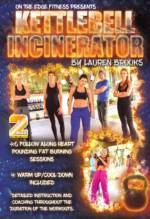 Check out Lauren Brooks’ latest body-shredding workouts with kettlebells and begin your total body transformation today! Download or stream for instant access to Lauren Brooks’ amazing kettlebell workouts and programs online.